In appreciation for joining our "Mysterial Murmuration," here are the first two chapters of the book. Enjoy! Thank you for signing up for the Mysterial Woman email list! Thank you for signing up for my email list and for joining a community of women who want to “upgrade how we live, love and lead.” I look forward to engaging with you through the content on my website, my blog, my private Facebook group. I encourage you to participate. I hope this gives you a feel for the revolutionary nature of The Mysterial Woman and all the possibilities it holds for women everywhere. I’d love to hear your comments and questions. You can reach me via the Contact page on my website. Tell Friends and Colleagues about Mysterial Woman! Do you know someone who might be interested in the Mysterial Woman? Click the links below to share.
" 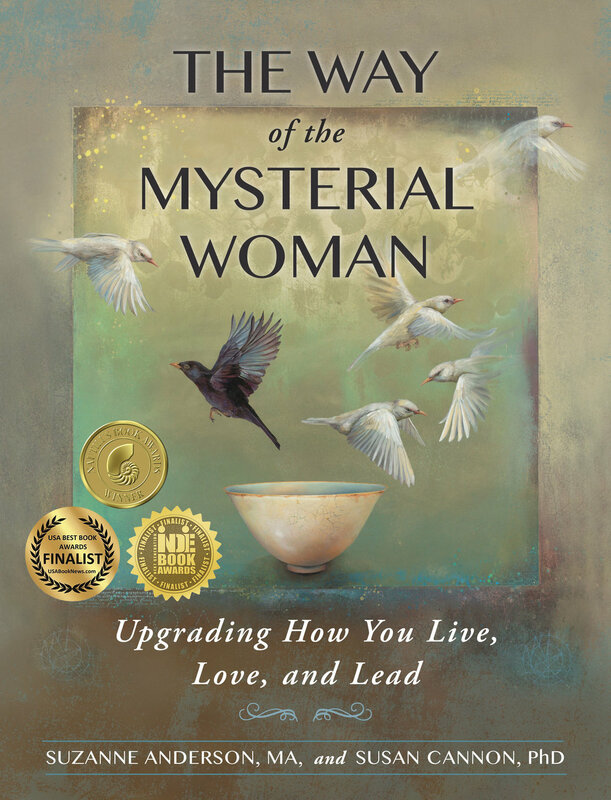 Way of the Mysterial Woman offers a ground-breaking look at women’s leadership that is beautifully written and deeply thought provoking. This book inspires the reader to think bigger and make the changes required to revolutionize the way we lead."